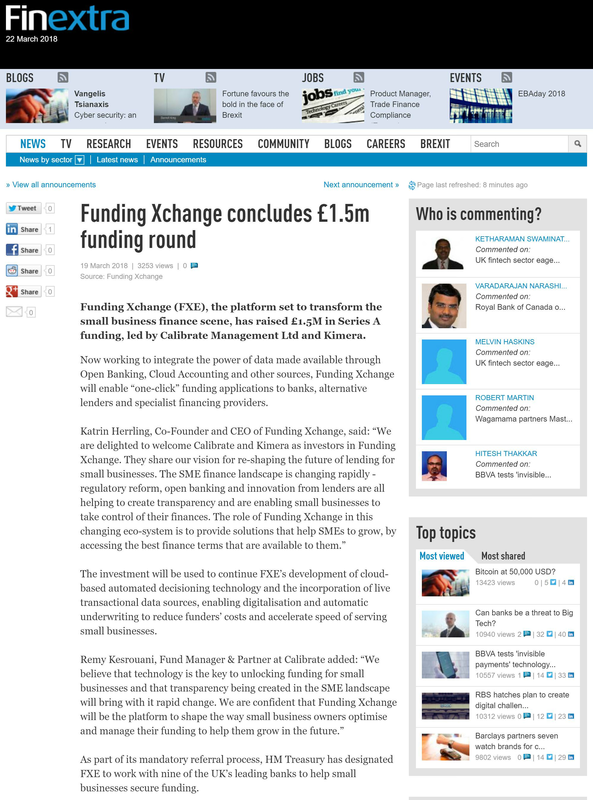 Funding Xchange have raised £1.5m in Series A funding, provided by Calibrate Management Ltd and Kimera. Remy Kesrouani, fund manager and partner at Calibrate spoke about the news: “We believe that technology is the key to unlocking funding for small businesses and that transparency being created in the SME landscape will bring with it rapid change." Katrin Herrling, co-founder and CEO of Funding Xchange, said: "We are delighted to welcome Calibrate and Kimera as investors in Funding Xchange. They share our vision for re-shaping the future of lending for small businesses "